Summer is almost over, but let those memories carry on with your very own pineapple plant. Not just a plant, a matching pineapple planter. 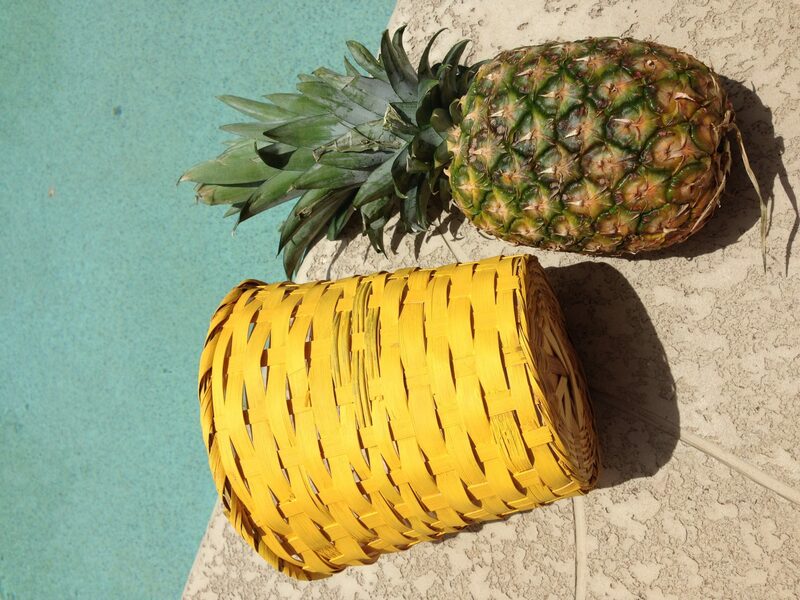 Pineapples were the hot summer design trend. Don’t believe me? Check my Pinterest. When the weather turns cold my new pineapple plant and I will stay warm with our memories of summer. Buy a whole pineapple at the store. You can either chop off the top with a knife or twist the foliage off gently. Nosh on the fruit later. Next, clean the foliage so that you can see all the tiny roots. This is what you will plant. Set the greenery aside while you craft your plant a new home. 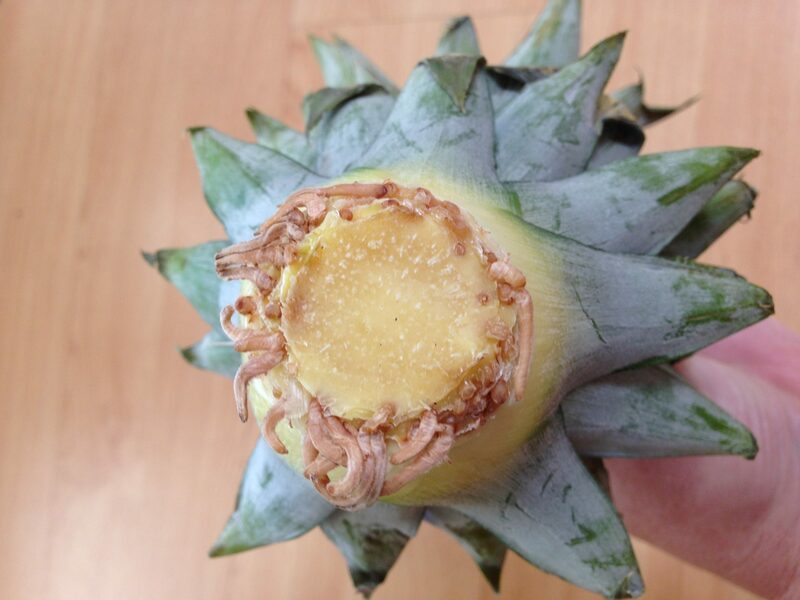 You can use any pineapple-shaped pot you have on hand. 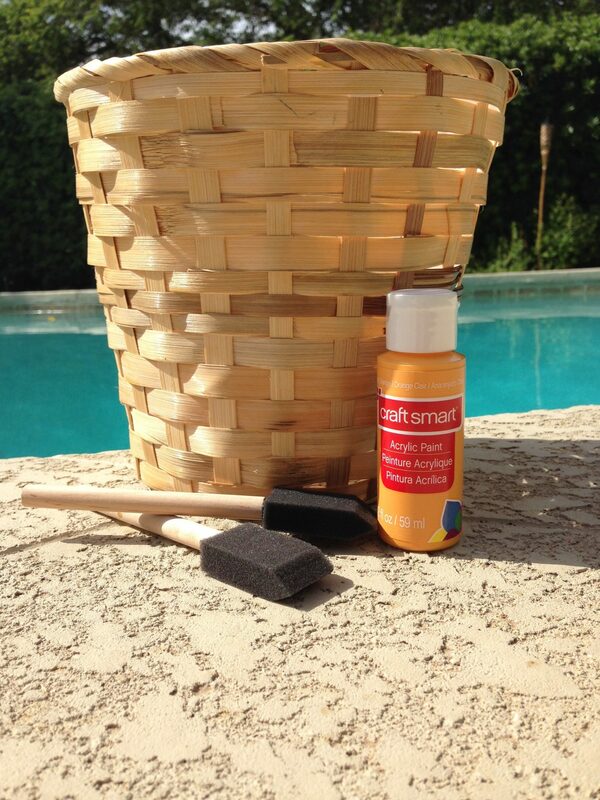 I picked up a plastic-lined planter basket at the thrift store. I thought the texture had a nice pineapple-y feel. 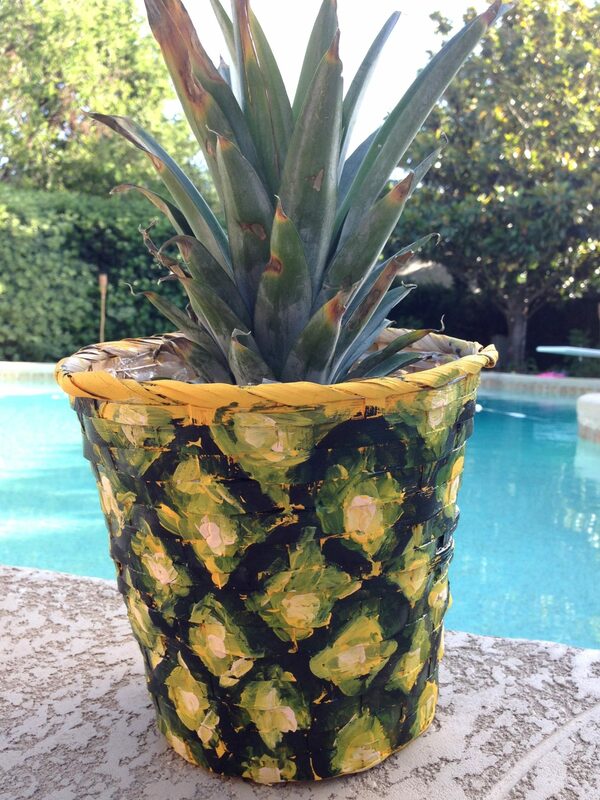 Paint your planter a pineapple yellow. This might take a couple of coats. Allow to dry completely. 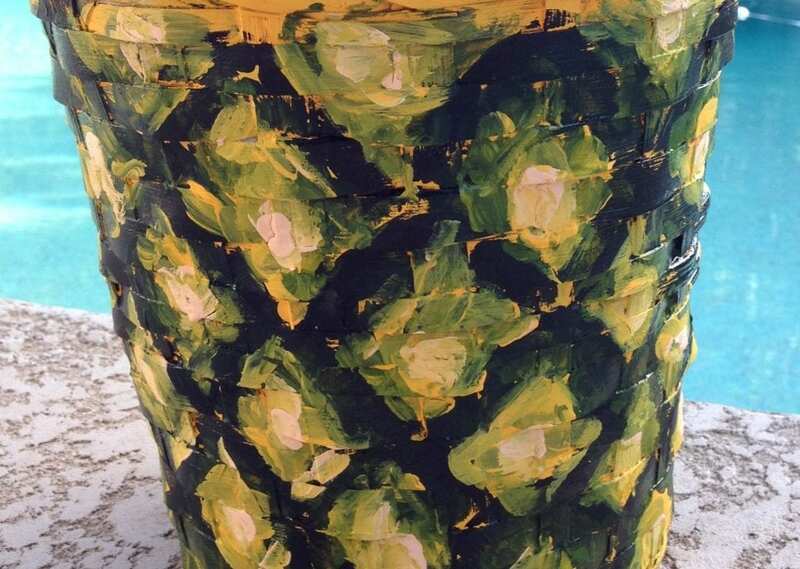 Come back in with black and green paint to give your pineapple a realistic crosshatch look. I must admit my sister helped me with this part. Feel free to leave yellow and skip this step. 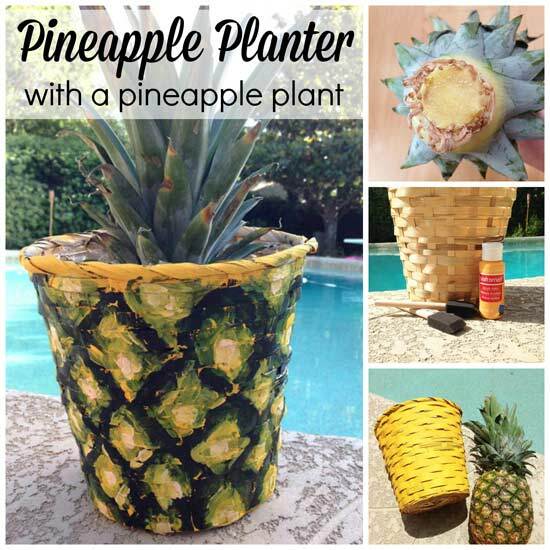 Next, fill your planter with dirt and add your pineapple top. Water well and watch that baby grow. 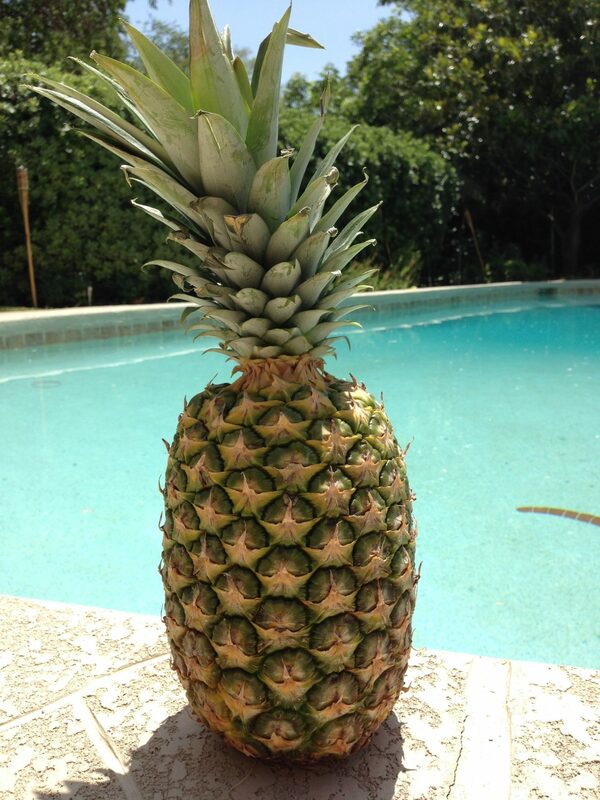 This makes the third pineapple plant I have growing in my container garden. 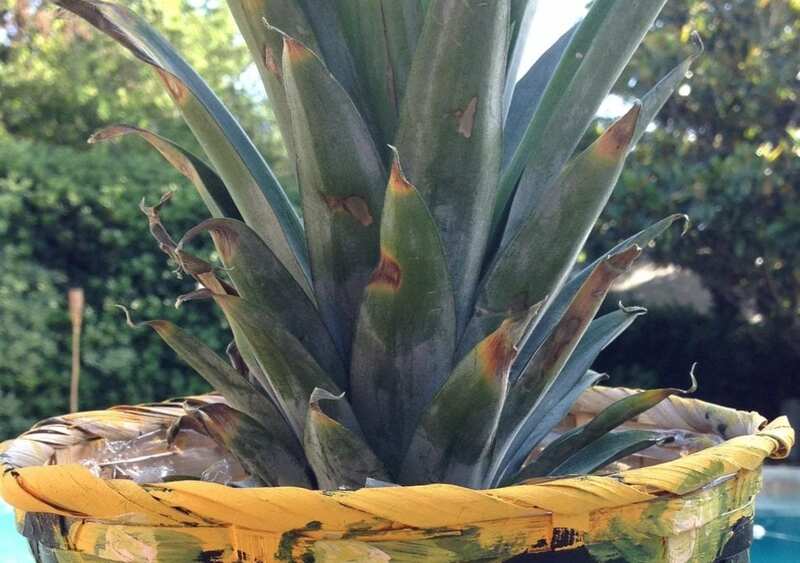 I haven’t yet had another pineapple grow from my plantings, but the plants are thriving, the leaves look great in the basket … and I’m still trying! Posted September 22, 2014 & filed under Crafts, Plant Crafts, Uncategorized.